Jerusalem (AFP) - Jerusalem's Al-Aqsa mosque compound, sacred to both Muslims and Jews, is at the heart of diplomatic efforts to defuse more than three weeks of Palestinian-Israeli violence. Here is a series of questions and answers to describe the role of the flashpoint site in the latest unrest. Al-Aqsa mosque compound is a 14-hectare (35-acre) rectangular esplanade at the southeast corner of Jerusalem's Old City. To Muslims, it is known as Al-Haram al-Sharif (the Noble Sanctuary) and houses the golden Dome of the Rock shrine, from where the Prophet Mohammed is believed to have made his night journey to heaven. It is Islam's third-holiest site after the Grand Mosque in Mecca and the Prophet's Mosque in Medina, both in Saudi Arabia. The esplanade is also considered the holiest site in Judaism and referred to as Temple Mount because it is believed to have housed both the First and Second Temples. The compound in its current form was built in the seventh century by Islam's second caliph, Omar, on the site of the Second Jewish Temple that was destroyed by the Romans around 70 AD. It is situated in east Jerusalem, a majority Palestinian area that was seized by Israel during the 1967 Six Day War and later annexed in a move never internationally recognised. To both sides the site is a sacrosanct religious and national symbol. Israel considers all of Jerusalem as its undivided capital, but the Palestinians want the eastern sector as capital of their future state. 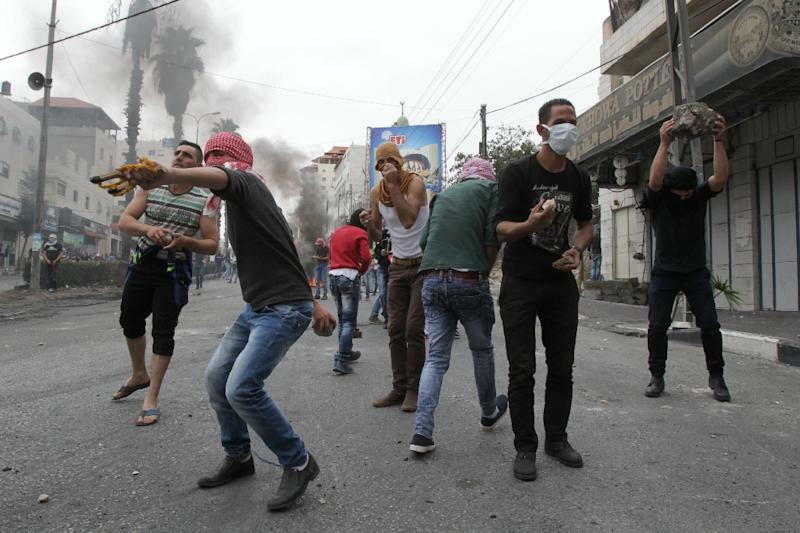 Clashes at the holy site are not new. In 1996, an Israeli decision to open a new entrance to the west of the plaza sparked clashes that left more than 80 people dead in three days. A controversial visit in September 2000 by then rightwing opposition leader Ariel Sharon was one of the main triggers for the second Palestinian intifada, which lasted from 2000 to 2005 and left some 4,700 dead. Partly. It has become a crucible for many the tensions in one of the oldest conflicts on earth. Palestinian anger was already simmering over Israeli occupation, the internationally condemned expansion of settlements, the Gaza blockade and 2014 conflict and loss of hope for a political solution. Further stoking anger was the death of a Palestinian toddler and his parents when suspected Jewish extremists firebombed his house. 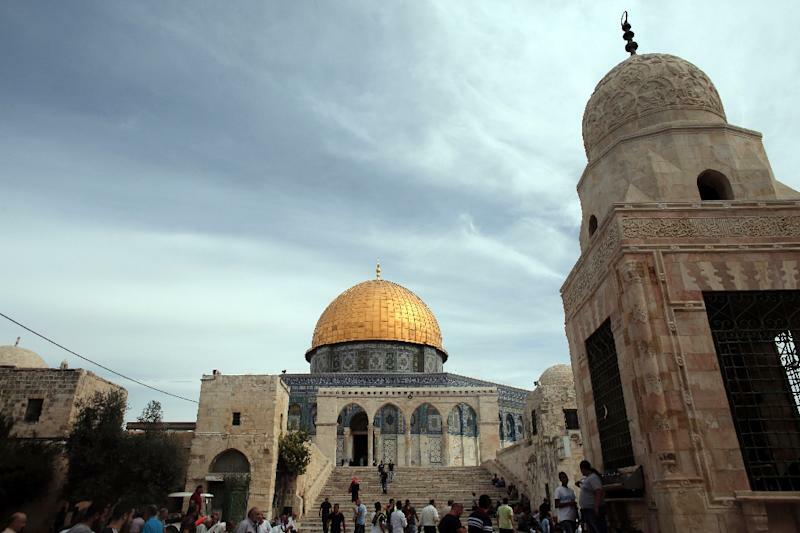 In September the Al-Aqsa compound became the focal point of this anger when an increase in Jewish visitors led Palestinians to fear Israel was plotting a change in the so-called status quo. Jews are allowed to visit the compound, but are forbidden from praying there for fear of sparking tensions with Muslim worshippers. But ultra-nationalist Jews, some of whom want to begin building a Third Temple, regularly visit the site where they can be seen praying discreetly. Israeli police monitor visitors entering through the Mughrabi Gate, the only entrance for non-Muslims, but in the last year several have entered the mosque during protests, enraging Muslims. Since Israel annexed east Jerusalem the site has been managed by the Jordanian-run Waqf but Israel currently controls access. Muslims are often subject to restrictions on entry, such as age limits. Israeli Prime Minister Benjamin Netanyahu fiercely dismisses this charge as "lies". "We remain committed to the status quo. 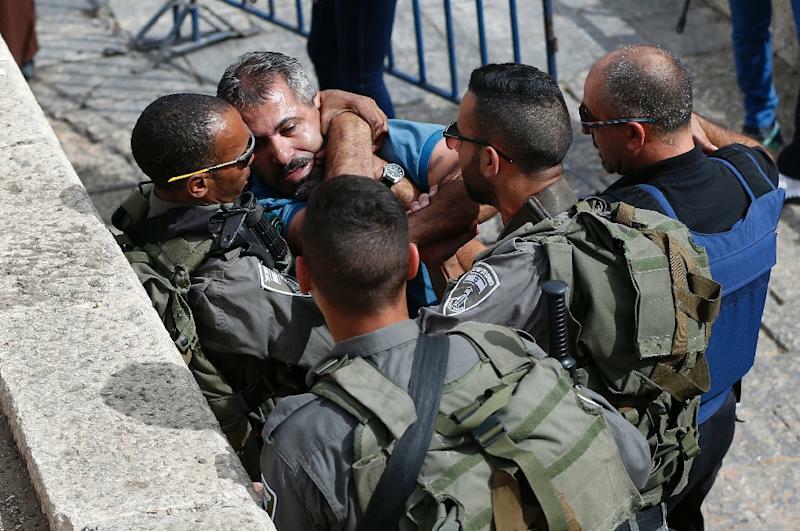 We’re the ones that protect all the holy sites," he said Thursday. He moved to defuse tensions at the site, banning ministers and lawmakers from visiting. However the status quo that Palestinian president Mahmud Abbas wants is that of 1967, when Israel did not control who visited the site. The compound is one of the rare issues in a complex conflict where the international community can put pressure on Israelis or Palestinians to urge them to tone down rhetoric and make concessions. Israel on Friday dropped age limits for weekly prayers after coming under intense international pressure in a series of diplomatic meetings. France has suggested an international presence at the site to note violations of the status quo, but the United States has publicly opposed this.